There are more guns than people in the USA. 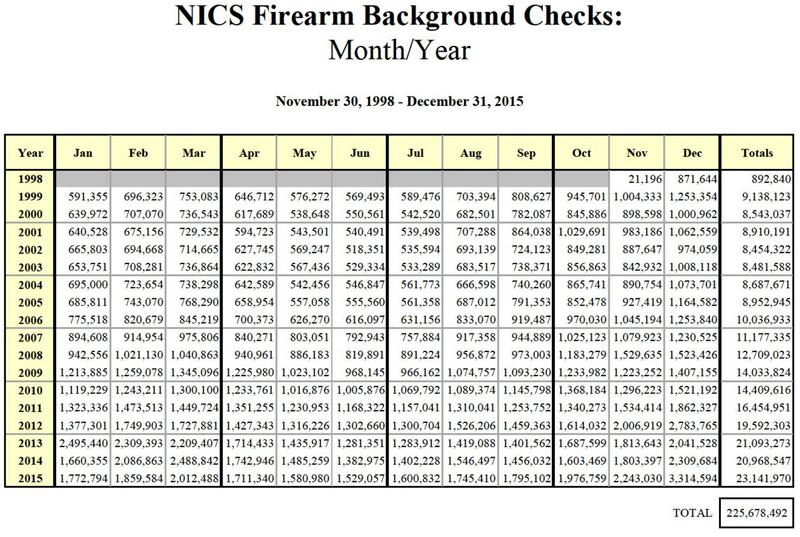 There have been 225.7 Million NICS checks since the system was implemented. The FBI says that firearms were used in 67.9 percent of the nation’s murders, 40.3 percent of robberies, and 22.5 percent of aggravated assaults. That means that 0.099% of guns are used in these crimes. There is not a BIG gun crime problem in America. Less than 9000 people a year are murdered by a person with a gun. This means that 0.0025% of the population will be murdered by a person with a gun this year. There is not a BIG murder problem in America. There is not a BIG mass shooting problem in America. Do the math. Then ask yourself, what is the point of gun control?